On the outside, Libby Brin is the most popular girl in school. But on the inside, Libby is dying - of boredom. In a moment of desperation, Libby signs up for an internship at the Los Angeles Zoo, much to the dismay of her friends, who'd prefer she spend her time with them, shopping, partying, and making fun of everyone else. Oddly, Libby realizes that she actually enjoys her new job and that she may even like the two "nerds" she works with. Will the Queen of Cool be forced to give up her crown? I read this book in a form of an e-book that I purchased myself. This book is a real enjoyment of a read. I totally wasn't expecting to like it as much as I did. I had no high hopes of it being good, so I went into reading it like is was going to be a disappointment. I flew through this book so easily, and before I knew it, it was finished. It was honestly a quick girly read. So let's talk about the characters, and let me tell you: there are A LOT of characters in this. But they all have their own different personalities, so it was easy to tell the characters apart, and you could easily see them in your head whist reading, and picture their faces as well as voices. The main character Libby stars of being a really snobby girl that gets her own way all the time, and enjoys the attention. Her best friend Perla is a right so-and-so, and someone you just want to slap. Tina is a short sweet girl and she works alongside Libby in the intern. Kenji starts off as what appears to be Libby's boyfriend. He comes across as very cocky. Sheldon is a guy that works the intern with Libby. He is a geek and is infatuated with Tiny. Sid is another geek, but I found him to be very like-able. Strong language is involved throughout this novel, so I'd only suggest older teens to read this, or ones that are comfortable with that sort of dialogue. The general way all speech was written when the characters spoke was in a way to how teenagers talk these days, and I really liked that. As I'm used to the language of today, I found myself understanding the story better because of that. The cover comes across as very girly. It may put people who have foot fetishes off though, but I like how the nails have crowns on. This story is written in first person, and the chapters are nice and short. The beginning to the book is nice as we are getting to know all of the characters, and the ending left me full of hope when finishing it. I love how Libby transformed into such a great person. In the end I just couldn't fault this book, so I gave it five out of five stars. 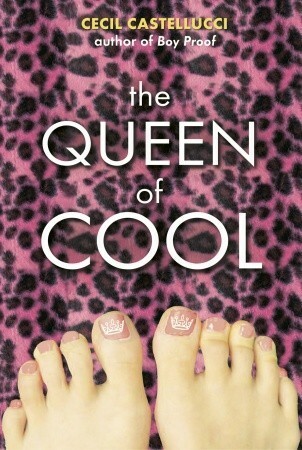 I definitely recommend this book if you are in the mood for a short girly read.